We live in the “data era”. A database of one kind or another lives at the core of virtually every application on the planet. More often than not that database is MySQL. 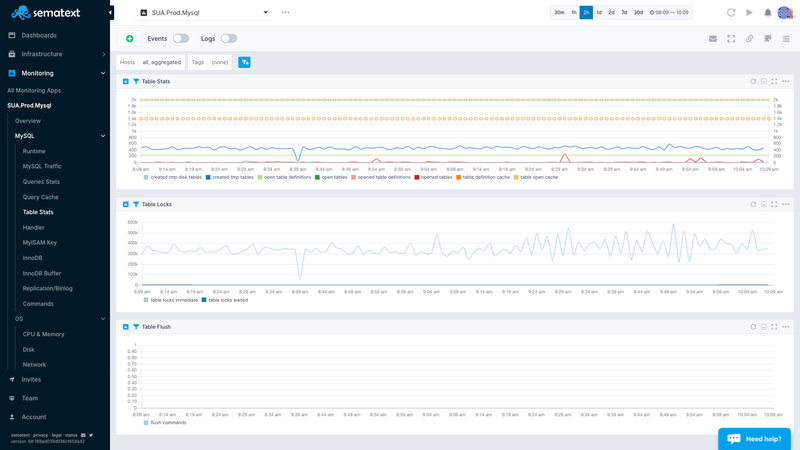 As such, you better a good MySQL monitoring tool to capture performance and availability metrics and you better have MySQL alerting and anomaly detection mechanisms to notify you when things go awry before your users start calling you and the spiky-haired boss storms in. 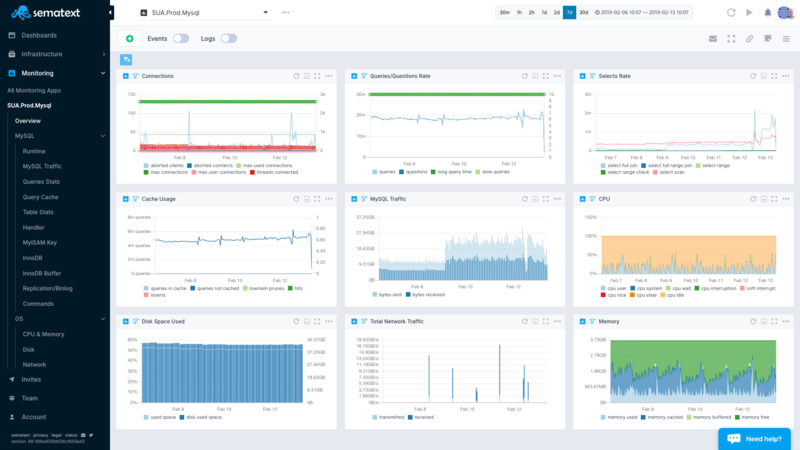 See MySQL metrics for the full list of monitored metrics. 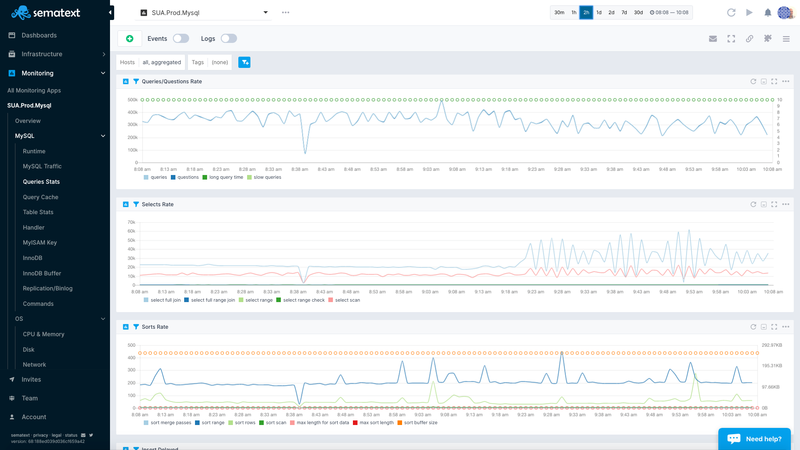 Here’s a glimpse into what the MySQL monitoring integration provides – click on an image to see the full view or look at the actual Sematext live demo. 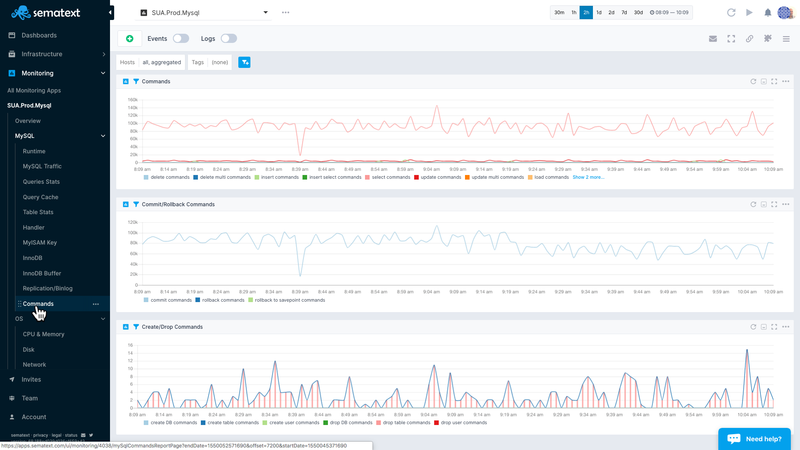 …When you can monitor almost everything with one solution — Sematext Cloud. 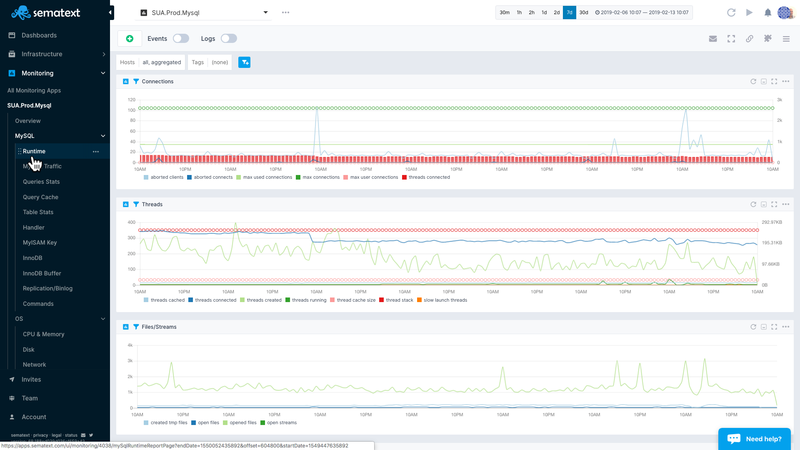 Many organizations tackle performance monitoring with a mish-mash of different monitoring and alerting tools cobbled together in an uneasy coexistence that is often far from seamless. Think Ganglia+Nagios. Sematext takes all that hassle away and makes it easy and comprehensive in one step. 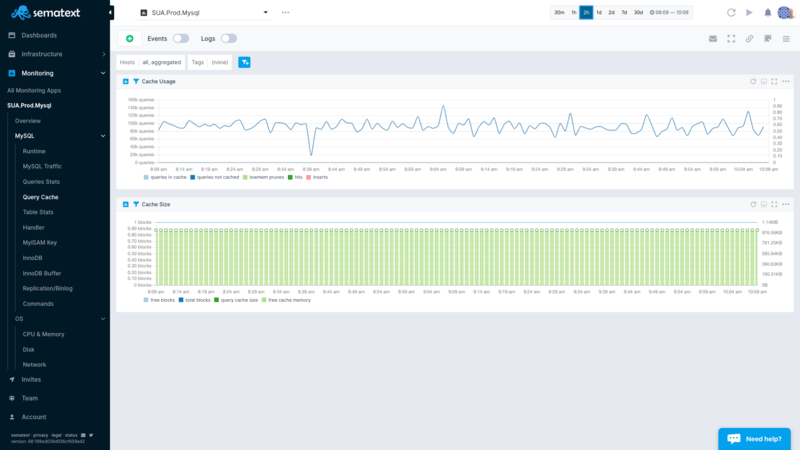 Try Sematext Monitoring free for 30 days.